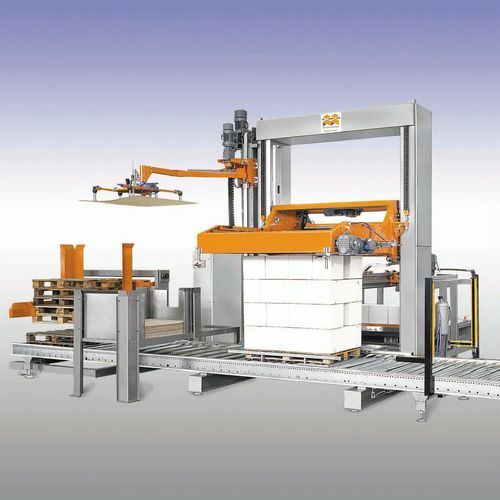 Low-level automatic palletiser with the pallet in a stationery position for medium production needs. Ideal for cartons, crates, jerry cans and shrinkpacked products. 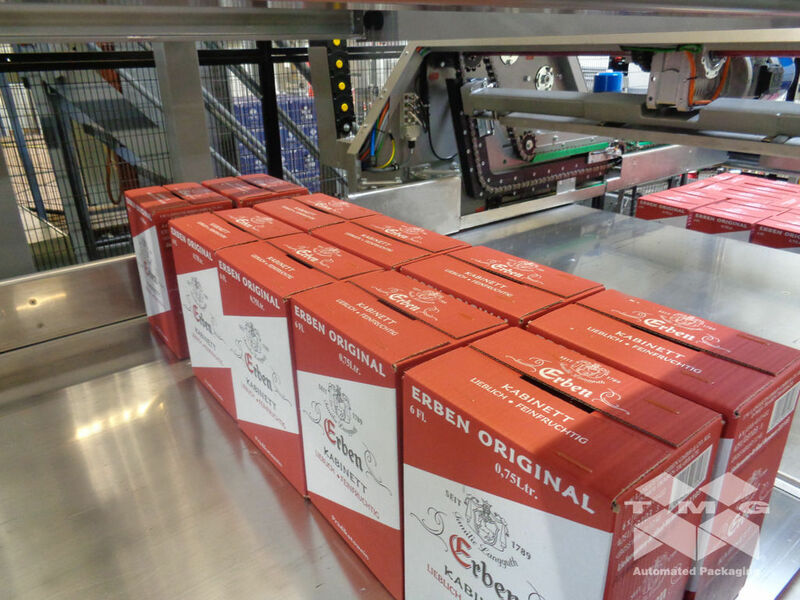 The products on infeed are distanced one from the other, orientated, grouped into layers and placed on the pallet in a pre-determined programme. 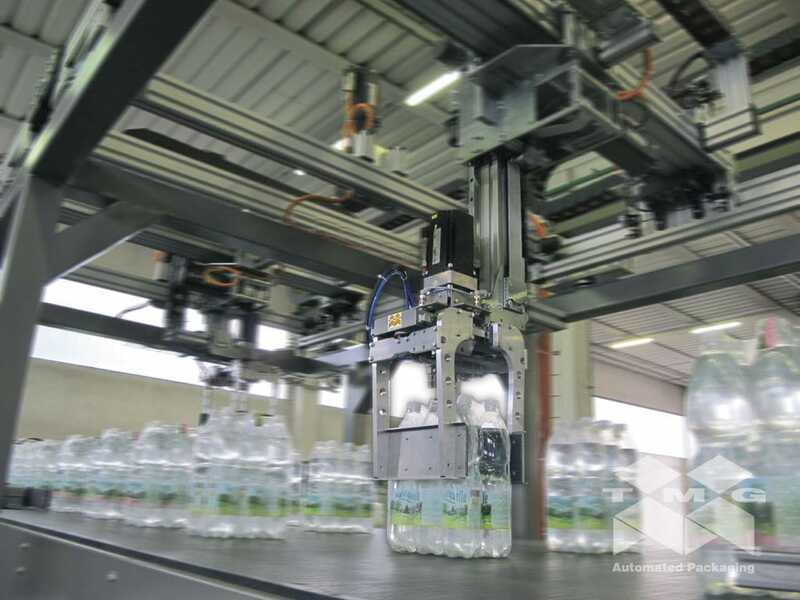 Versatile and robust machine which can be supplied with one or more product infeeds, high or low level infeed, in addition to being able to be adapted for non standard pallets from 800x600 to 1100x1350 mm. 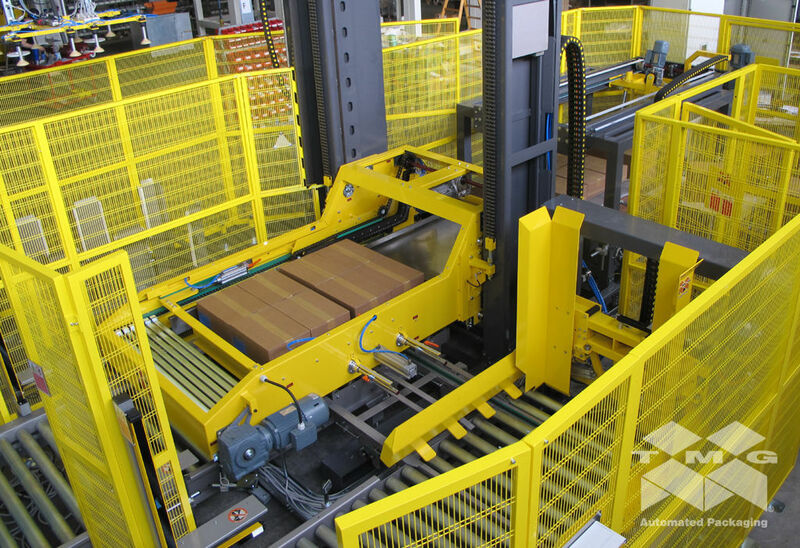 The transfer of the layer from the layer preparation table to the pallet is carried out by a trolley with a centrally opening table for alignment of the product length-ways, which ensures optimal palletising of the layer when there is a space in the middle of the layer pattern, as the layer border is kept aligned. 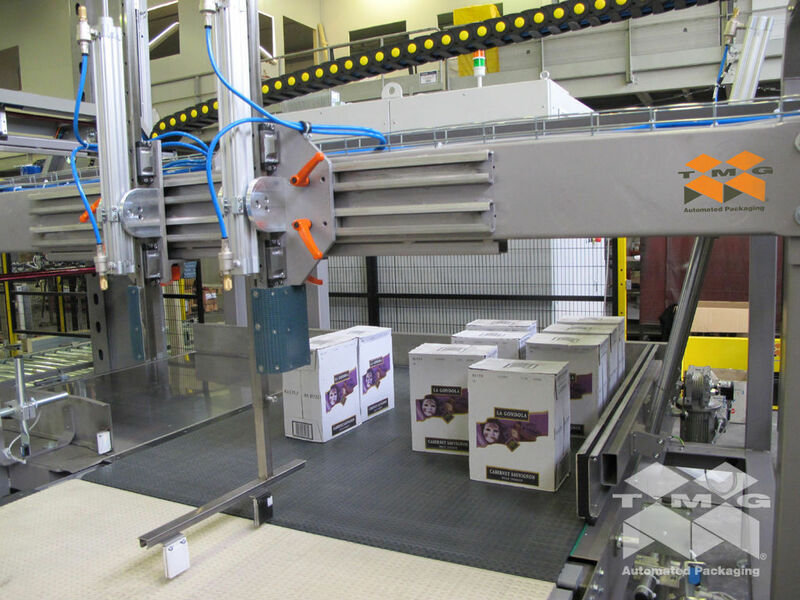 Before the full pallet evacuation conveyors, the palletiser can be fitted with a shuttle car system in the layer unloading area with two or more stations for palletising simultaneously different products on separate pallets.